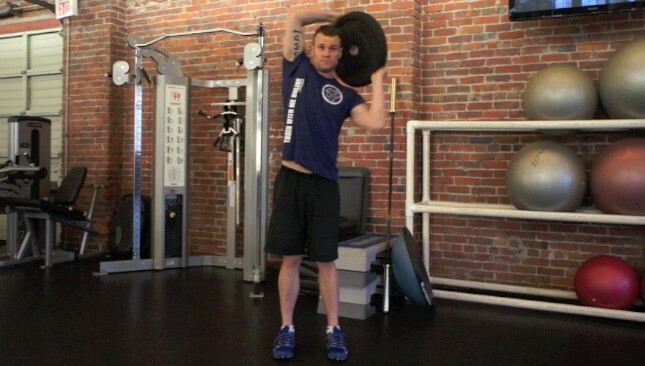 Perform this warmup circuit once before continuing on with the rest of the workout. 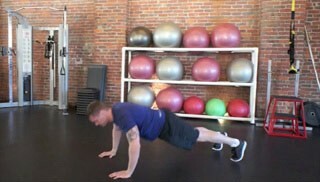 The dumbbell woodchop is a beginner exercise that targets the entire core. This is a great warm-up exercise and is suitable for any fitness level. Perform these two exercises one after the other. When your done, rest for 45 seconds to a minute then repeat both exercises. Do this a total of 4 times. 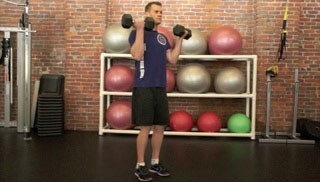 The seated dumbbell shoulder press is a beginner upper body exercise. This exercise is a great way to increase lean muscle mass and build overall strength in the shoulders. Perform each exercise in this circuit one after another taking minimal rest between each exercise. Do this entire circuit 4 times.